The Global Poker Index (GPI) rankings have undergone relatively slight change over the past seven days. Dominik Nitsche and Bryan Rast's moves are the only thing noticeable this week. Actually, Nitsche moved up from 12th position to join the GPI Top10. He has jumped over 4 spots to secure 8th position. As for Bryan Rast, he now ranks 20th in the current standings. He owes the move to his 1st-place finish in the Aria Super High Roller Bowl run on July 2-4 at the Aria Resort & Casino, in Las Vegas. 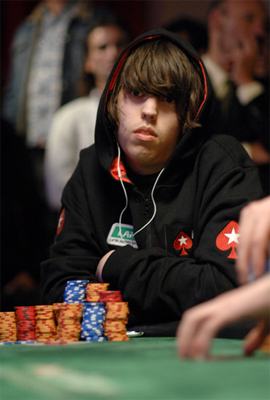 As a reminder, poker pro Rast has an attention-getting resumé. He has won a number of major championships. Most impressive among them are two WSOP bracelets and a victory in the 2013 World Poker Tour High Roller championship, the Doyle Brunson Five Diamond World Poker Classic. Anyway, his most notable achievement remains the freshly-acquired title from the Aria tournament. As a reminder, Rast was awarded a gigantic $ 7,525,000 first-place prize and earned points, propelling him up to the famed GPI rankings. Speaking of the leaderboard, USA Jason Mercier secures the lead this week with 4,043, 95 points. Byron Kaverman also remains in the same position as last week. He is currently the GPI's No.2 seed. Scott Seiver is stuck to 3rd position. The other players featured in the Top 10 include Anthony Zinno (4th), Stephen Chidwick (5th), Dan Smith (6th), Paul Volpe (9th) and Dario Sammartino (10th).